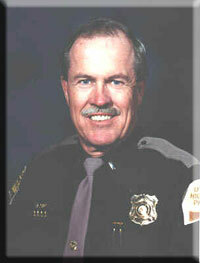 Tom Rettberg joined the Utah Highway Patrol in 1975. He served at the Echo Port of Entry for one year and in the field operations in Weber County for two years before joining the Aero Bureau. Tom left the UHP and joined Wildlife Resources in 1979. He later served with the Utah Department of Transportation Aeronautics Division until he returned to the Utah Highway Patrol Aero Bureau in 1985. On February 11, 2000, Lieutenant Rettberg was performing an auto rotation manuver required by the FAA to simulate an emergency engine failure. During the maneuver a malfunction occurred and the helicopter crashed.